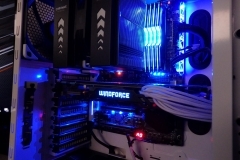 We had some questions after our Gigabyte AX370 Gaming 5 motherboard review and although most of them weren’t actually about the motherboard itself, we grouped them together here with the answers. Firstly, a quick recap. The Gigabyte Aorus AX370 motherboard is a high end Ryzen board using the X370 chipset with premium features such as dual gigabit LAN (1x Intel/1x Killer E2500), Dual ALC1220 Audio with headphone amp and SoundBlaster software, RGB lighting, USB Type-C and NVMe U.2 Connector. It’s got plenty to offer. 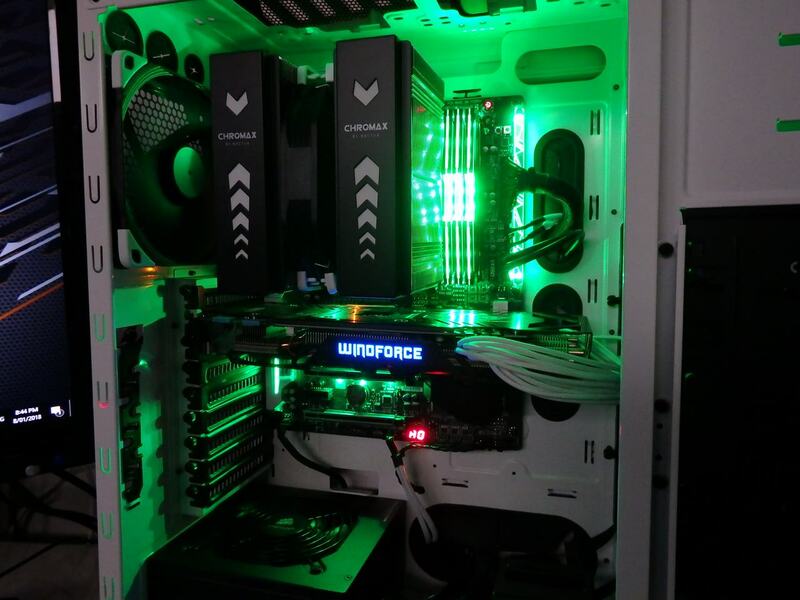 The aesthetic design is black and white with the RGB lighting available to set the tone of your build. 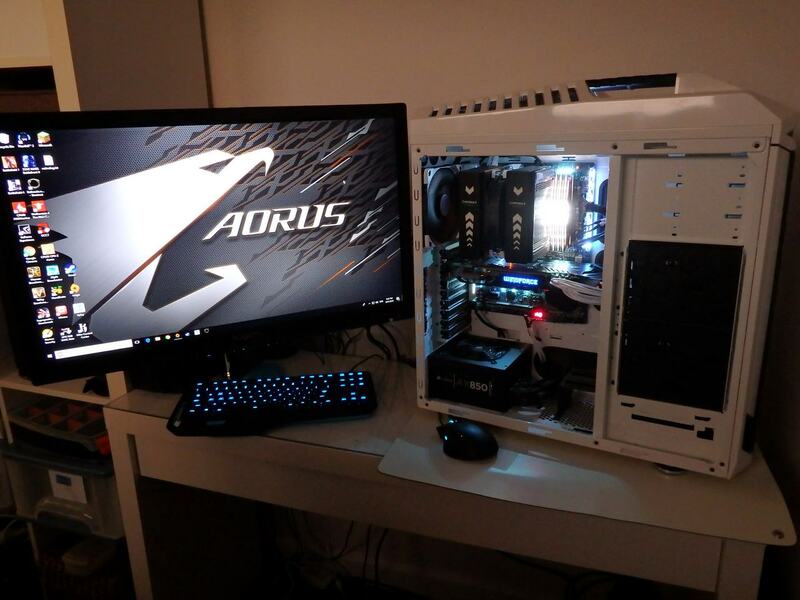 The white highlights of the Aorus AX370 inspired the “Aorus” test system below, complete with matching DXRacer chair. 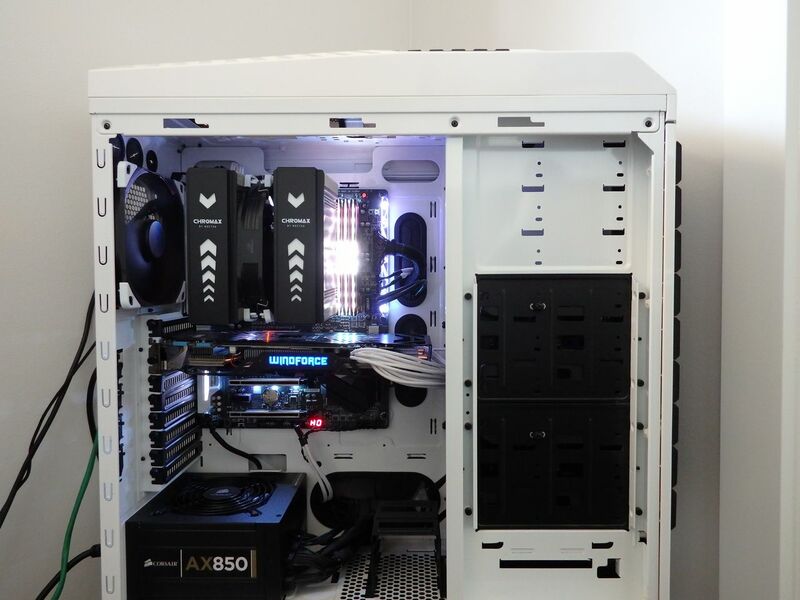 This rig was built to be a gaming test system rather than a heavy duty rendering work-horse so we went with the 1600X CPU. 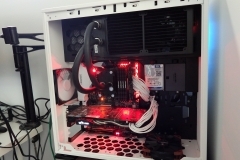 I also wanted it to be quiet and chose the Noctua NH-D15S air cooler for that reason. Is the Ryzen 5 1600X better value than the 1700? That’s a tough one – I think the Ryzen 7 1700 is the best choice from the first generation of Ryzen CPUs. Out of the five Ryzen 1700 CPUs we’ve used on projects here, all except one went to at least 3.9GHz with an overclock – that odd one out went to 3.8 which is still a good result. I still really like the 1600X for gaming though. If you’re not wanting to overclock, it’s a great choice as it has XFR and will go that little bit harder automatically so long as you have good cooling. 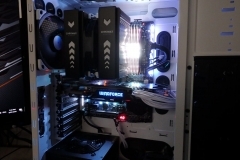 In the context of the Aorus gaming rig, the 1600X was the perfect CPU for that build and it runs all games to the limit of the graphics card. When transcoding, the Ryzen 7 1700 does the job faster due to having more cores but if you want a general gaming rig that also does a very reasonable job with video work or 3D rendering on the side, I’d rather spend less on the CPU and grab a 1600X over a Ryzen 7. 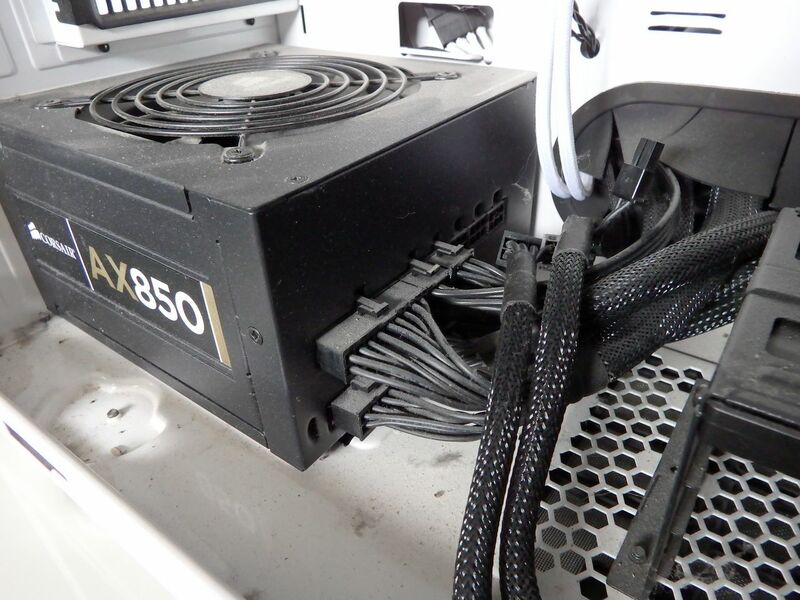 This leaves more in the budget for the graphics card, memory or cooling. 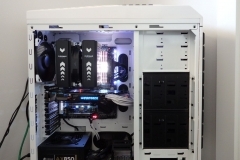 Can you see a difference in gaming between the 1600X and 1700 test systems? In a word – No. Not beyond the capabilities of the mid-range graphics cards anyway. The MSI system has a GTX 980 whilst the Aorus system has a GTX 970 so I’ve taken that into account when answering this one. The CPU usage hasn’t bottle-necked either system and we haven’t seen any network latency issues, driver problems or bloatware/utility concerns on the test benches at all. Both the Gigabyte Aorus AX370 Gaming 5 and MSI X370 Gaming Pro Carbon are high end motherboards with ALC1220 audio solutions. 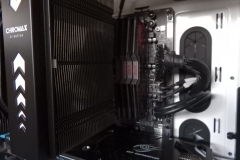 Essentially MSI board has an extra M.2 while the Gigabyte AX370 Gaming 5 has an extra LAN port and an additional amplifier for front panel headphones. The Aorus board has a little more LED bling to it as well. Both boards achieved the same overclocks with our 1700 CPU so from our perspective they are both solid purchases. On a personal note, the aesthetic of the Aorus board was more appealing. Both our X370 test platforms are great for gaming but it’s worth noting that our R7 1700 is typically running a constant 3.9GHz overclock where the R5 1600X isn’t typically overclocked at all. 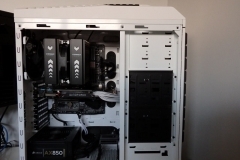 Why did you use that old CM Stryker case instead of something newer like the In Win 303 you reviewed? 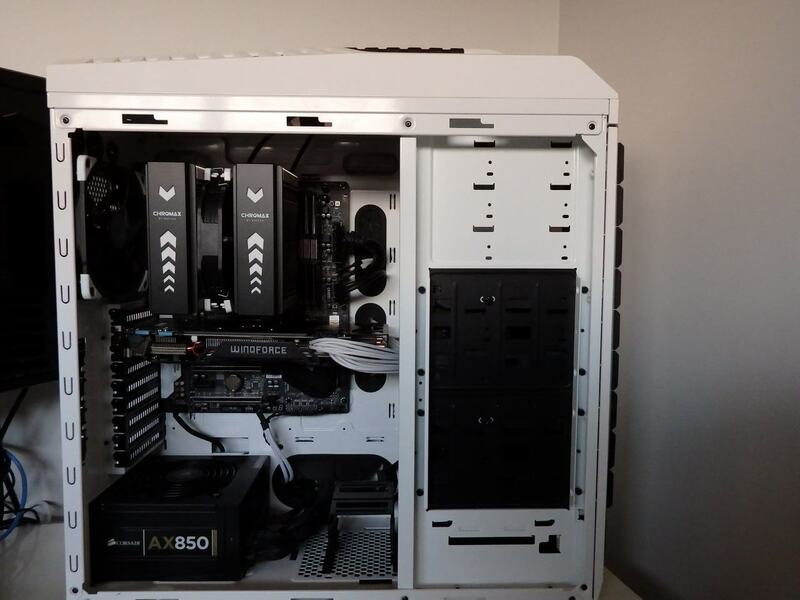 Basically, the glossy white with black highlights of the case matched the visual design of the AX370 Gaming 5 and we thought it might come together well. 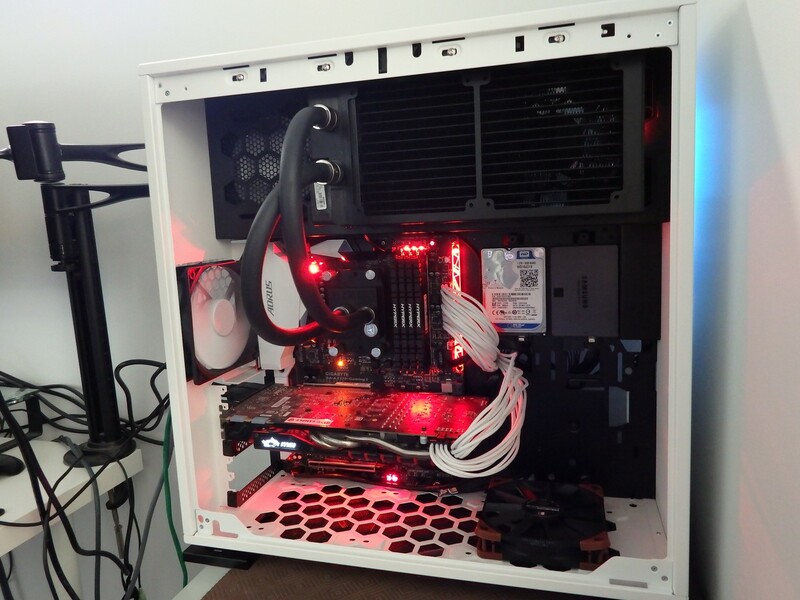 I also wanted to use a large Noctua cooler for a quiet system and it wouldn’t easily fit in the white In Win 303. 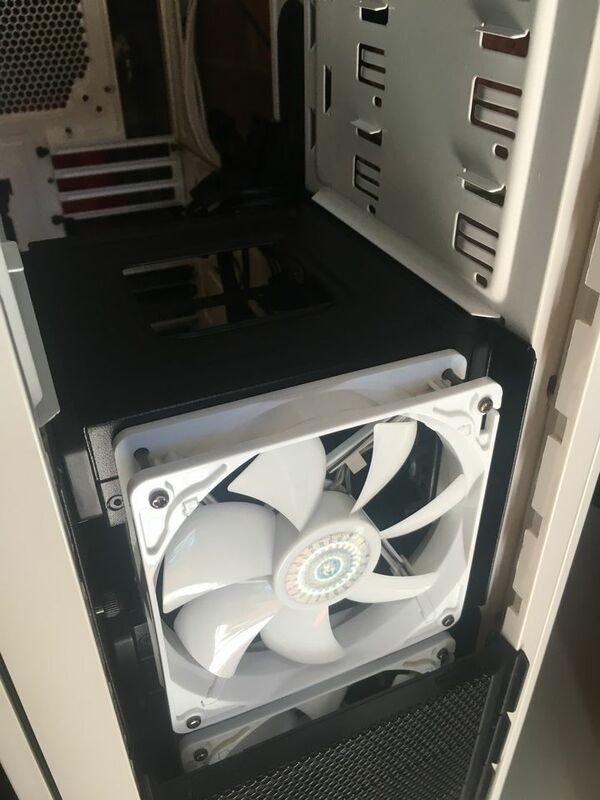 I’ve always had a soft spot for the Stryker – I bought the case in 2012 for a gaming build and then we used it for a longevity project where we didn’t touch or clean it for over 5 years. 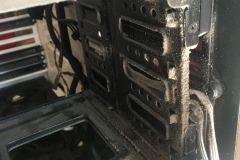 One of those years was spend running in an extremely dusty garage as a home server. Once that project finished, I cleaned the dust out and checked it over for any rust/corrosion or obvious discolouration. After a good vacuum and surface wipe, the old case came up looking like new so I was more than happy to use it again. The gallery below shows how bad we let the system get for the longevity experiment. 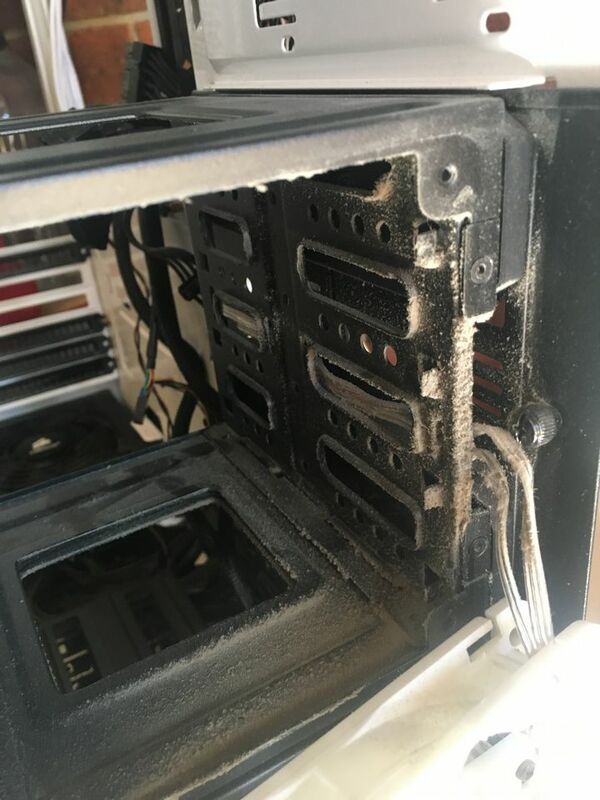 It took less than an hour to clean the case out completely but literally 10 minutes of care, once or twice per year would have avoided the situation. 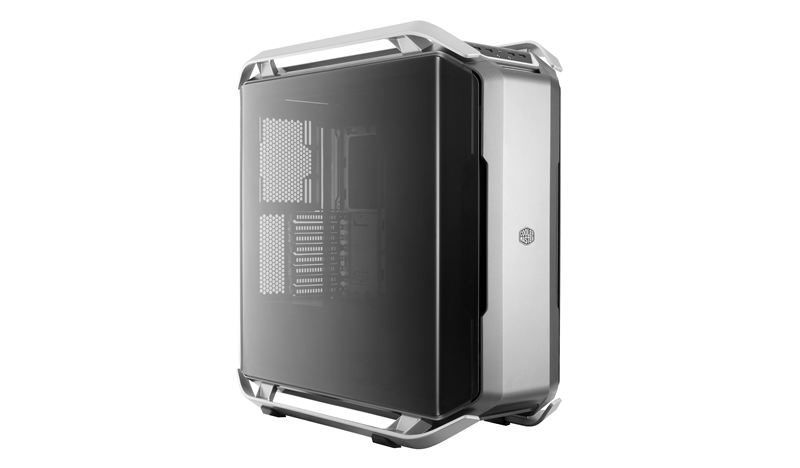 The Cooler Master CM Storm Stryker has great airflow and ability to conceal cables. 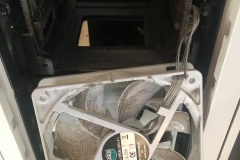 The main chamber is also very open which suits the choice of a large air cooler and makes it easy to access and change parts. This machine also gets moved around a bit so the handles on the top are pretty handy too. Sure, there are newer cases that look good (or better) and weigh less but at the end of the day, this one matched the aesthetic we were going for and met all of our practical needs. If I’d had access to a CM Cosmos C700P though…. That Stryker case might have found itself back in the storage cupboard. Of course – but nothing major that can’t be addressed with a simple upgrade down the track. Ideally I’d use a larger SSD of around 500GB in a system like this instead of the 256GB. The 256GB M.2 ADATA SX7000 SSD is quick and well suited as a boot drive. 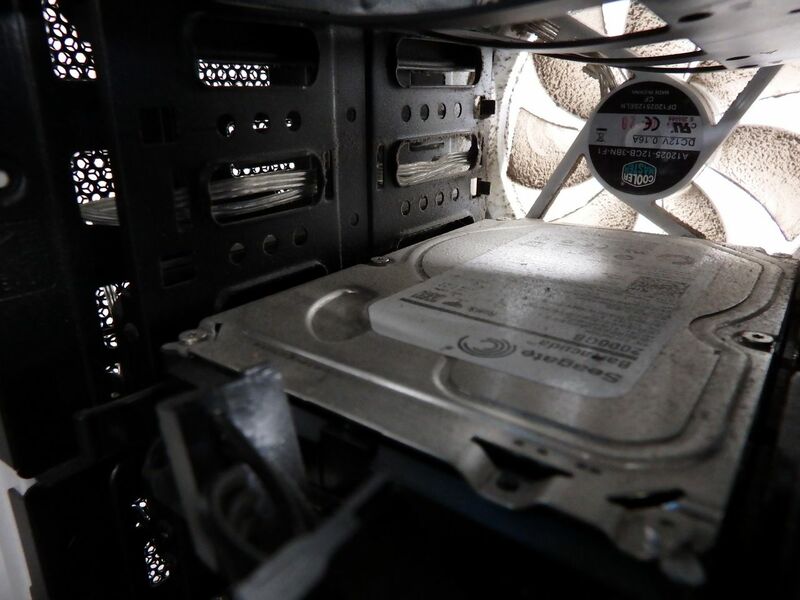 We may add a 500GB or 1TB SATA SSD to the system later as they are better bang for buck. The 2TB Seagate Firecuda is probably the smallest capacity I’d choose as well – I’d still use a Seagate hard drive but would consider a 4TB model for some extra storage space. The GTX 970 runs fine and the ViewSonic XG2703-GS G-SYNC monitor smooths out the FPS variation we see running at 1440p so the graphics card is ok for now. 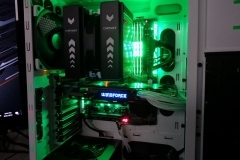 With the current GPU prices the way they are, it’s hard to justify the expense of something more powerful but this setup will eventually get a GPU upgrade as the rest of the system has years ahead of it. 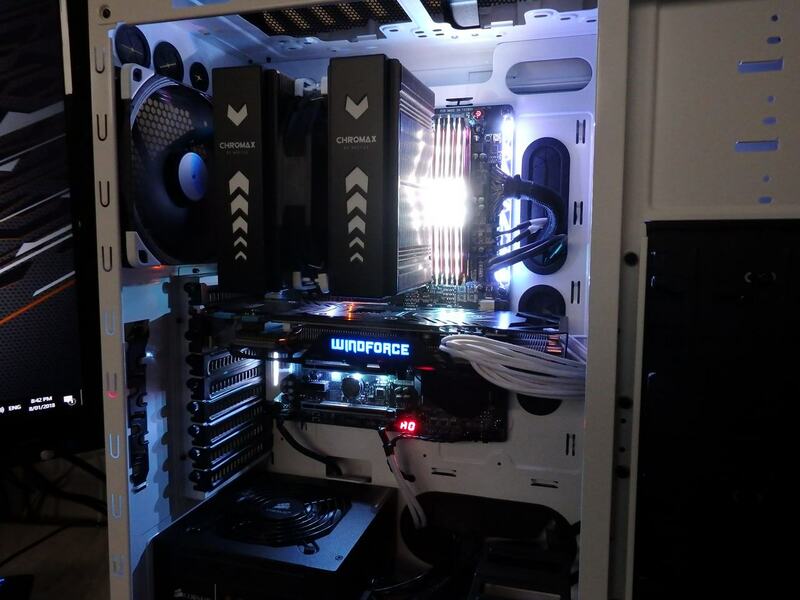 We don’t have any regrets over component/brand selection and the Aorus system has been 100% stable. 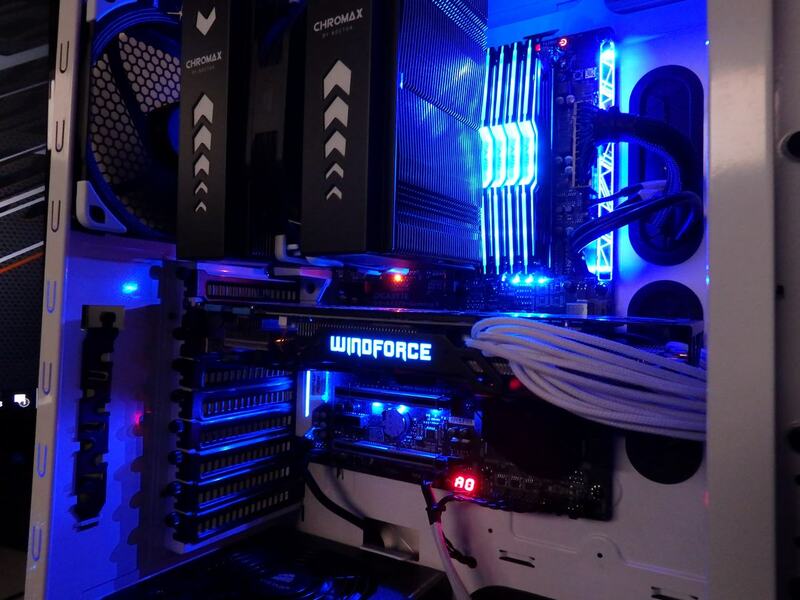 Are the dual LAN ports on the Aorus board really worth it? For us? Yes. The dual LAN ports mean that we can do a file transfer with our NAS and saturate one connection while still doing website work, uploads or other tasks using the 1GB bandwidth of the other. Our LAN is gigabit and we have multiple data points in the lab individually cabled back to a 24 port gigabit switch so we’ve limited the bottlenecks to a large extent. 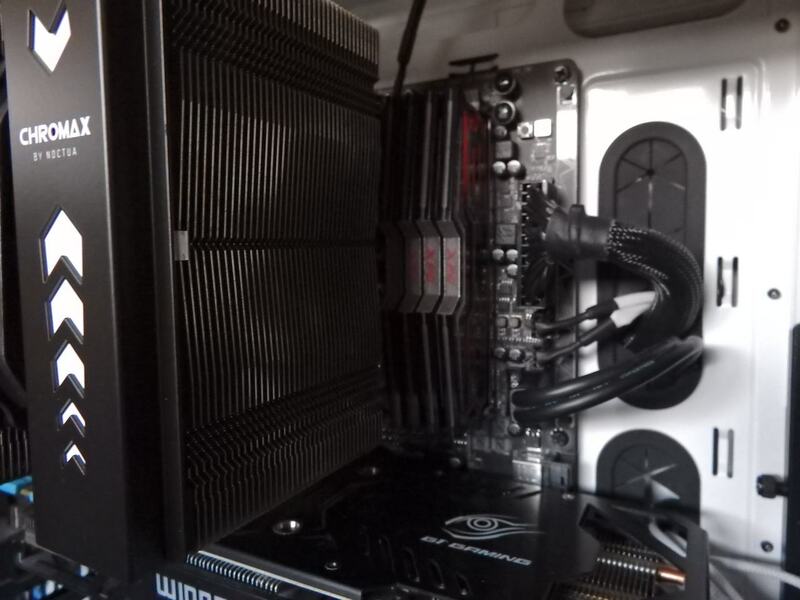 The dual LAN ports on the Aorus AX370 Gaming 5 and the Taichi X399 boards come in handy from an internal traffic bandwidth perspective but they don’t benefit our internet connection. Honestly, I don’t know if I’d buy a motherboard just because it had dual LAN ports but I certainly use them if they are available. 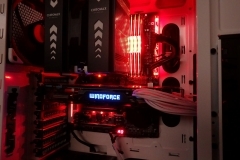 Can you get Noctua coolers with Chromax kits included or do you have to buy a second fan etc? 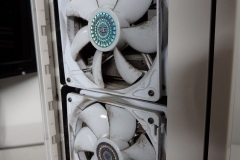 Currently, you have to buy the Chromax fans and covers separately. You can check out the range here. Has the DXRacer chair discoloured at all – is the white still white? How hard is the DXRacer chair to keep clean? I’ve got two DXRacer chairs here, an older black one and the newer white and black. Both are King Series chairs. The older black one hasn’t faded and is showing only minimal signs of wear. The newer white/black chair has been used for a few months now and still looks as new. I haven’t used any cleaning products on either yet, just a damp cloth to remove some dust every six months or so. The ‘white’ on the black/white chair is probably more of an off-white or ivory colour, it’s subtle but probably also the reason why any surface dust etc doesn’t really show up. 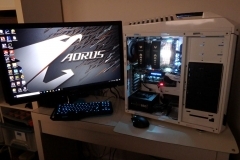 How much noise does that Aorus build make? What’s better, the Air cooler on the Aorus PC or the Water cooler on the MSI Ryzen PC? 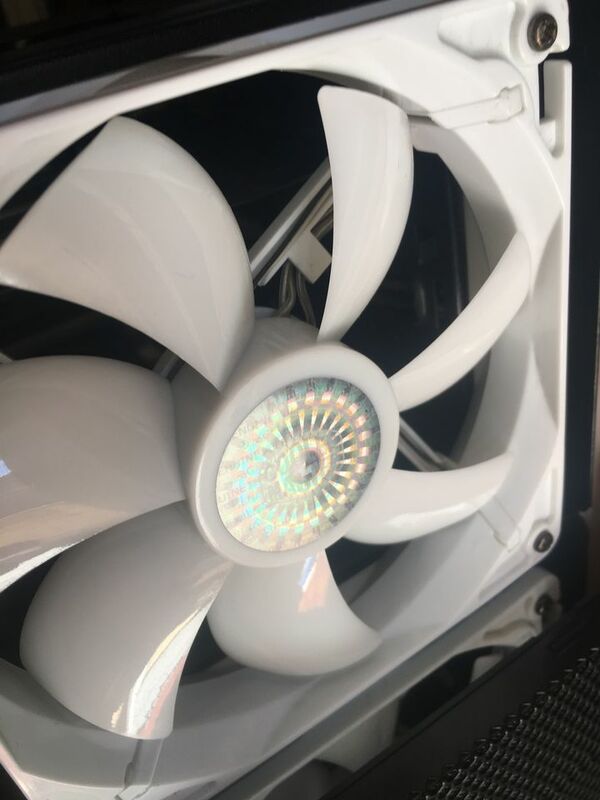 What air cooler is the best? The Aorus sytem is basically silent at idle and under load, the GTX 970 Windforce 3x graphics card is the loudest component. The noise isn’t offensive or distracting but it is louder than the current model ASUS STRIX and MSI Twin Frozr coolers. 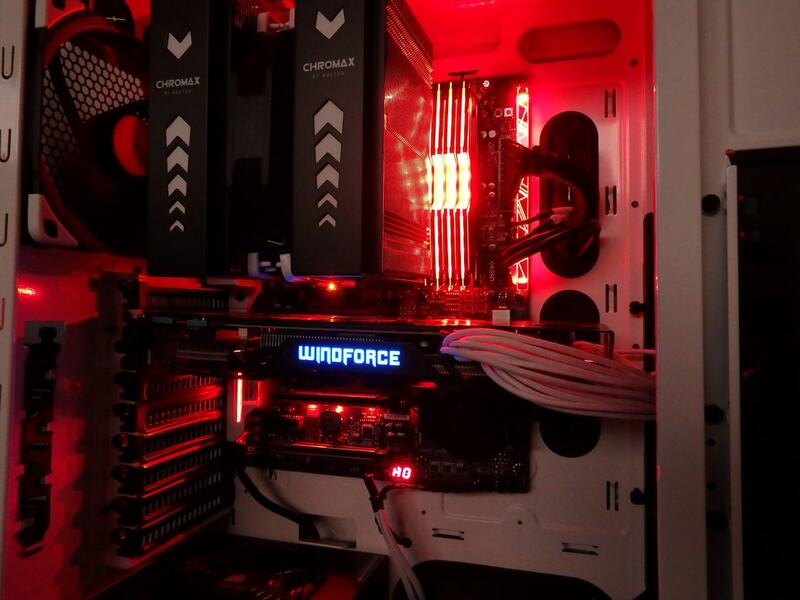 We haven’t had access to a Gigabyte Aorus cooler yet but I have heard anecdotally that Gigabyte improved acoustics over the Windforce 3x cooler on the GTX 970 we are using. 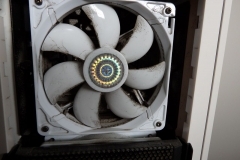 The noise difference between the EK XLC-240 Predator AIO water cooler and the Noctua NH-D15S would be in favor of the Noctua air cooler. 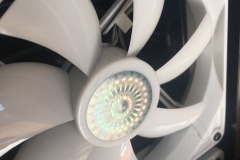 The XLC-240 fans have more of a ‘hum’ to them than the NF-A15 fan on the NH-D15S cooler, the XLC-240 also makes regular trickle sounds that aren’t loud or distracting but it’s a noise we don’t get (obviously!) on the NH-D15S. 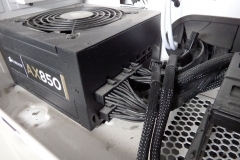 If you’re trying to decide between air or water cooling or graphics card coolers, you need to consider your budget, your case and how much the noise from your PC will bother you. 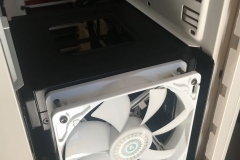 High end, quality coolers will cost more and you need to be able to fit them in your case. 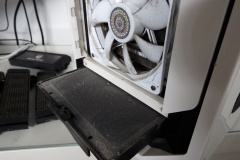 A case with good constant airflow will feed CPU and graphics card coolers with more fresh air and result in lower fan speeds and noise. 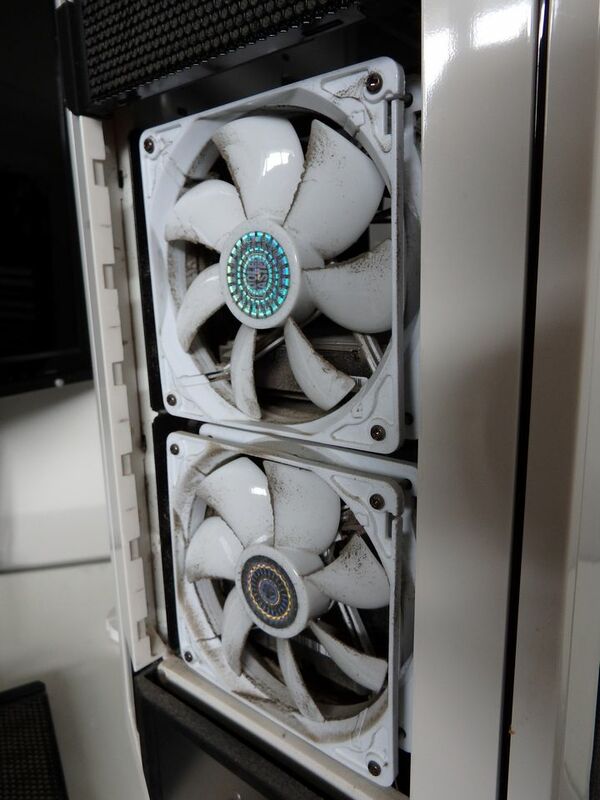 Water coolers can give you better access to motherboard components if you change parts or tinker a lot. 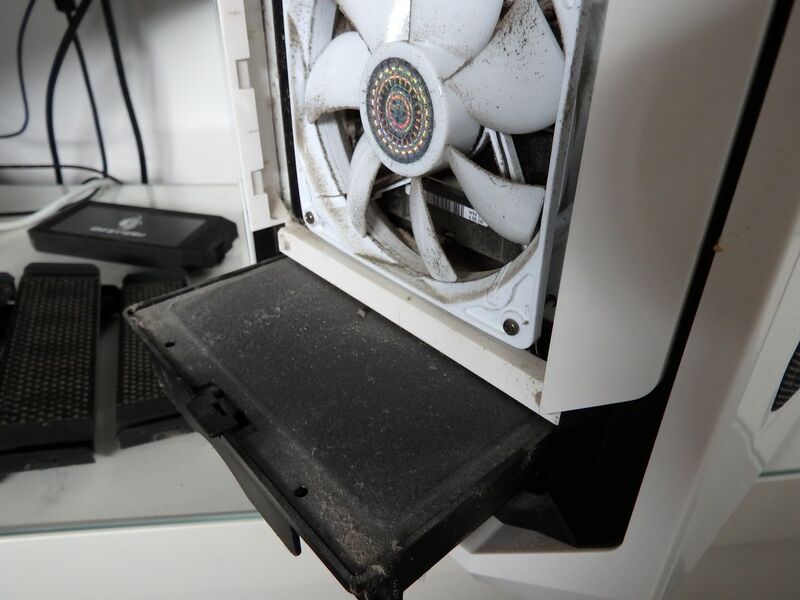 Air coolers are a more simple cooling solution with less points of failure. 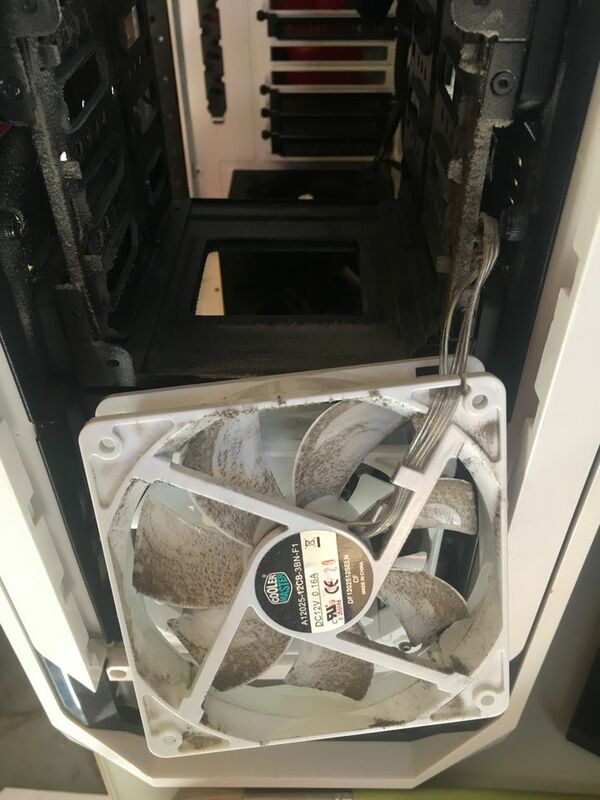 For people that don’t have much to spend and don’t care about noise, a cheaper but less efficient air cooler might be fine. Where people want something really quiet, they will need to spend that little bit more. 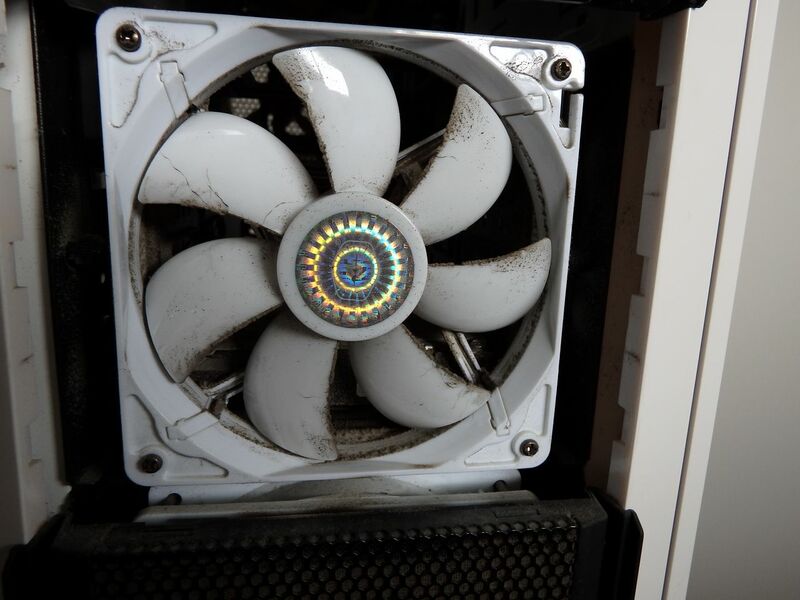 Personally, I like my PCs quiet so I tune the fan curves and only use Noctua coolers for my own air cooled systems.